Interesting Facts: Gastly appears to be nothing more than a black ball of ghostly matter that is surrounded by a purple glow of smog. Gastly has big, white eyes and a mouth with a pair of fangs in it. 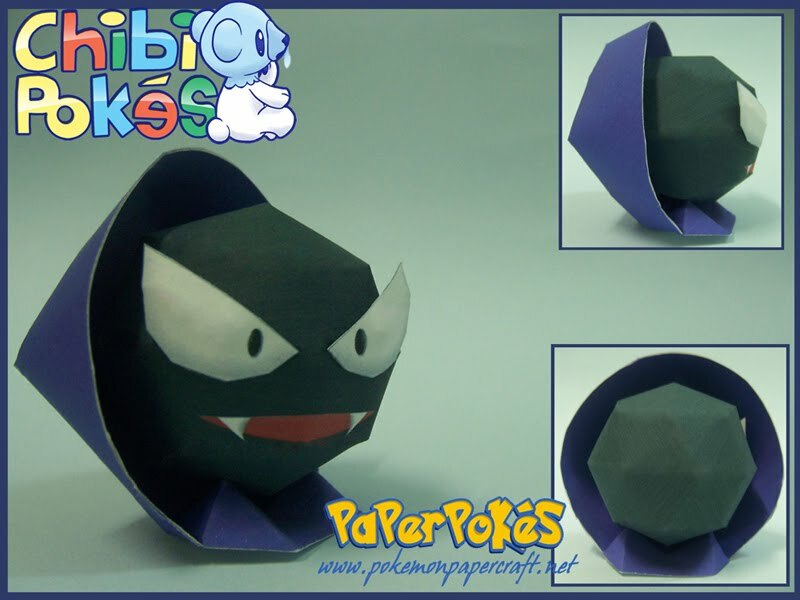 Gastly's face is similar to Cloyster's, but the two Pokémon aren't related. NOTES: Follow the numbers, and use the large cloud as a base. i can't open the RAR files and i am unable to download the WinRAR program. what do i do? I really want to make the chibi models.